Announced today, Cao Chong Weighs an Elephant by Songju Ma Daemicke and illustrated by Christina Wald lands a spot on the 2018 Best STEM Books list. The list is curated in a joint project by the National Science Teacher’s Association and the Children’s Book Council to select the best trade books that integrate science, technology, engineering, and math. The use of science and creative thinking is integral to the story, and also makes Cao Chong Weighs an Elephant a good fit for this list. The Best STEM Books list provides a recommended reading list to educators, librarians, parents and guardians looking for books that exemplify the creative approach to discovering and applying knowledge about our world to solve problems. Each year a panel of educators and scientists gather to select a variety of books that meet these guidelines and feature one of the four disciplines. View the entire list here:. It is book awards season. Today, Arbordale is celebrating five books named to the prestigious Outstanding Science Trade Books list – a joint project of the National Science Teachers Association (NSTA) and the Children’s Book Council (CBC). The honored books represent many different science concepts including two citizen science books, Bat Count: A Citizen Science Story by Anna Forrester and illustrated by Susan Detwiler and Moonlight Crab Count by Dr. Neeti Bathala with Jennifer Keats Curtis and illustrated by Veronica V. Jones. Two very unique nonfiction books, one on animal rescue, Honey Girl: The Hawaiian Monk Seal by Jeanne Walker Harvey and illustrated by Shennen Bersani, and one on classification, Living Things and Nonliving Things: A Compare and Contrast Book by Kevin Kurtz. Finally, creative problem solving wins with Cao Chong Weighs an Elephant by Songju Ma Daemicke and illustrated by Christina Wald...Read the full press release here! See all 13 Arbordale titles selected as NSTA / CBC Outstanding Science Trade Books. Click here! 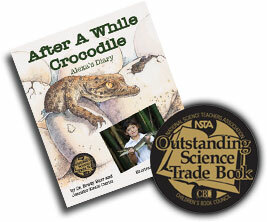 See the full NSTA / CBC Outstanding Science Trade Books list, and learn more about the award. Click here! We are pretty excited to finally have Chinese added to our growing list languages. These three books are now available as multilingual, read-aloud ebooks with perfect word highlighting and audio speed control. Tap animals and objects of nature hear their sounds. They are also available in paperback. So much fun on our Fun eReader® ... 110 of our 144 dual-language, read-aloud ebooks now have animal, nature, & object sounds when tapped. We are updating 1 or 2 ebooks per day with the real sounds of animals in the wild, ocean surf, lightning strikes, etc. Children (and adults!) love to find and listen to the sounds. You can play with this feature on our new ebook of the month linked here and from the homepage. * For more details on the reading contest and New Mexico's statewide reading initiative, click here. Fall Book Launch - Meet the Books! The fall book launch is upon us and we have four great new titles for little science lovers. This season, Compare and Contrast with Kevin Kurtz, find creatures that lurk in the dark with Linda Stanek and Shennen Bersani or find out how to weigh an elephant in Ancient China with Songju Ma Daemicke and Christina Wald. Learn what inspired each author and how the book came together in the press releases for: Animal Tails, Cao Chong Weighs an Elephant, Living Things and Nonliving Things: A Compare and Contrast Book, or Night Creepers. We are incredibly honored that young readers loved Once Upon an Elephant and voted for our nonfiction book to take home the prize in the CBC Children's Choice Awards this year. We thank you for voting!! About the Book: Through Once Upon an Elephant, readers learn why the large creatures are so important to other animals on the African Savanna, and what a keystone species means to the human residents as well. Author Linda Stanek worked with the Columbus Zoo to write a different kind of elephant book and after learning so much about the animal; she knew that she had to write a nonfiction story about what would be if elephants were only “Once Upon a Time.” Bersani completes this picture book with highly realistic and bright illustrations. Following the story, a “For Creative Minds” section includes activities and fun facts where kids can learn more about elephants and keystone species. Read more about the award and Once Upon an Elephant here! Stony Brook author Cindy Sommer, and her debut picture book Saving Kate's Flowers, has been recognized with a Society of Children's Books Authors and Illustrators 2017 Crystal Kite Award for New York. Each year, 15 books are honored from U.S. and international regions from more than 1,000 nominated books. Members of SCBWI vote to honor the outstanding work of their peers in the genre of children's books. SCBWI is the only professional organization specifically for those individuals writing and illustrating for children and young adults in the fields of children's literature, magazines, film, television, and multimedia. Read more about the award and Saving Kate's Flowers here! Aquatic comparisons and elephants make the cut in this year's Delaware Diamonds awards. Young readers in kindergarten through second grade will have the chance to read and vote for Sharks and Dolphins: A Compare and Contrast Book and Once Upon and Elephant in the 2017-2018 school year. A program of the Delaware Literacy Association, the Delaware Diamonds committee chooses winning titles each year with the intent to expose young readers to new quality literature as well as honor reader's favorites. After reading a majority of the books students cast their vote for the favorite and the winning titles are announced each spring. This year readers have two nonfiction books from Arbordale among the contenders. Sharks and Dolphins by Kevin Kurtz takes a look at the qualities that make these animals similar but yet very different. The large photographs pair nicely with simple text for even very young readers to understand. Once Upon an Elephant by Linda Stanek shows how important elephants are to their habitat and the animals that share the African savannas by asking what would be if elephants were only once upon a time. Life-like illustrations by Shennen Bersani compliment Linda's informative text. Both books are available in hardcover, paperback, ebook and interactive ebook as well as Spanish language editions. Today the Ohioana Library announced the finalist in the 2017 Ohioana Book Awards and Linda Stanek's Once Upon an Elephant is one of the five juvenile literature finalists. The awards were first given in 1942, and each year they honor Ohio author's contributions to literature in fiction, poetry, juvenile literature, middle grade/young adult literature, and nonfiction. The awards also honor books about Ohio but may not have been written by an Ohio author. This year's winners will be announced in July. Once Upon an Elephant is a finalist in the Children's Choice Awards, where voting is currently taking place online through May 7th and also in the Keystone to Reading Award, voted on by Pennsylvania students. Deep in the Desert selected for the New Mexico Governor's First Grade Reading Initiative! Your kids will love what happens when they tap our animals on ebook pages ... they now growl, chirp, and roar! About 20% of our 140 ebooks have the new feature and we are adding 1 or 2 per day to the list. To see which ebooks have the animal sounds, please use the sort dropdown (web version) and select "Animal & object sounds." 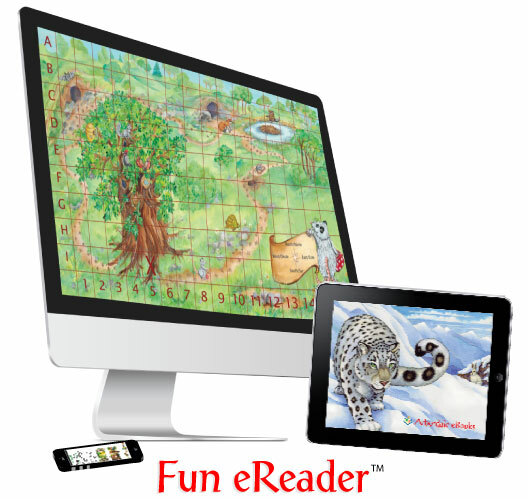 This feature is live on web and ipad app versions of the Fun eReader®. It is not yet available on the Android. Read Once Upon an Elephant and vote in the Children's Choice Awards! Voting is open now and Arbordale is leading the campaign for the elephants. Once Upon an Elephant by Linda Stanek with illustrations by Shennen Bersani is in the running for the Children's Choice Award in the 3rd and 4th grade book of the year! The Nature Generation announced the "long List" for the annual Green Earth Book Award, and After A While Crocodile: Alexa's Diary by Dr. Brady Barr and Jennifer Keats Curtis with illustrations by Susan Detwiler is in contention for the children's nonfiction award. The story is told through the diary of a young girl who is participating in a real crocodile head start program in Costa Rica where children raise the animals. They learn all about their American Crocodile neighbors before releasing the baby croc into local rivers. Readers learn about this endangered animal and conservation efforts through Alexa's story. The Green Earth Book award honors books that, "Inspire children to grow a deeper appreciation, respect and responsibility for their natural environment." The 2017 winners will be announced on Earth Day! Our 6 Fall 2017 titles have arrived!!! Available as hardcover, paperback, spanish paperback, and our amazing dual-language, interactive ebook. Order online today. Buy 5, 10, 25, 50 or 100 books and get online access to our entire collection for free! With 30% to 40% off your book purchases plus the free ebooks this is a deal that can't be beat! Buy one title or mix and match for a variety of habitats, animals, or even physical science. Arbordale's ebooks read aloud in both English and Spanish with word highlighting and audio speed control to engage young readers. Visit our specials page for more information about these packages! Having trouble logging into your Arbordale ebooks, or do you just want to learn about our ebook and app technology. We have just released several training videos to help you navigate our wonderful ebooks. Watch all six, click here! Maryland scientist, author, and illustrator collaborate to bring animal conservation to children in this award-winning book. Mount Pleasant, SC (January 2, 2017) -- Late in December, the National Science Teachers Association with the Children's Book Council announced that Arbordale's After A While Crocodile: Alexa’s Diary landed a place on their prestigious Outstanding Science Trade Book reading list. After A While Crocodile is a project between Dr. Brady Barr and author Jennifer Keats Curtis with illustrations by Susan Detwiler. Barr has done extensive work with a crocodile head start program in Costa Rica where children raise American crocodiles from egg to release. This program is intended to teach a respect for these animals that are often misunderstood by the people that live in areas populated with the crocodiles. Read more, click here! Three Arbordale Books selected for Kansas Reading List! All New Mexico families now have free access to 140 picture books that read-aloud in both English and Spanish. Mount Pleasant, SC (November 14, 2016) -- Families of first graders may recognize one of two Arbordale books Ten for Me or Newton and Me which were given to students at the beginning of the school year as part Governor Martinez's First Grade Reading Initiative. Now, as part of the same bid, all New Mexico elementary-age students and their families have access to 140 ebooks on Arbordale's dual-language Fun eReader® platform. Learn more about this statewide reading initiative, click here! Are Publishers Influenced by Teacher and Librarian Feedback? "I want every kid to see one of our books and think, "Science is for me; that's something I can do." Read the full article, click here! The Tejas Star Award committee has selected Achiss! by Shennen Bersani for their annual reading list. This is the debut picture book both authored and illustrated by Shennen Bersani, and the first award for a Spanish edition of an Arbordale Book. The story begins with Baby Bear waking up to a cloud of pollen after hibernation. After a sneezy start Baby Bear ends up learning why pollen is good for everyone, even a bear, from his forest friends. The realistic, yet adorable illustrations are in Bersani's signature style and help kids understand why pollen is so important. Published by the Texas Library Association each year, the Tejas Star Reading List is intended to, "encourage children ages 5-12 to explore multicultural books and to discover the cognitive and economic benefits of bilingualism and multilingualism." For more information on the award click here. 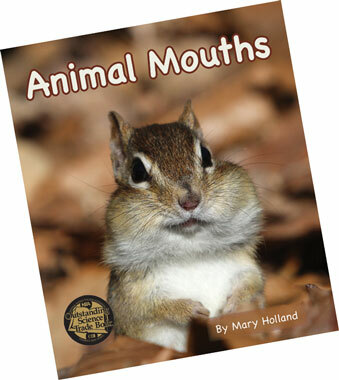 Author Mary Holland's newest book, Animal Mouths received a gold seal this week when the Children's Book Council with the National Science Teachers Association named their Outstanding Science Trade Books for 2016. In Animal Mouths, young readers get up close with teeth, fangs, and beaks as Holland breaks down the differences in types of mouthparts. Large detailed photos complement the text to demonstrate the ways that animals use their mouth, and inset skull photos really show off the mammal's huge incisors. Read the full press release, click here! International Literacy Association awards Katharine Hall's book on annual reading list! On July 18th at the annual International Literacy Association conference Katherine Hall's debut picture book Polar Bears and Penguins was awarded a place on the annual Children's and Young Adults Reading List as the winner in the primary nonfiction category. The annual awards honor books written by new authors that show a promise in the children's and young adult genre. This year marks the 40th announcement of the reading list and awards are given out for primary, intermediate and young adult books. Book awards committee chooses "Sea Slime" for annual reading list! Sea Slime: It's Eeuwy, Gooey and Under the Sea is a perfect fit for Florida Reading Association's annual children's book award! The children's book of slimy sea life by Dr. Ellen Prager and illustrated by Shennen Bersani has been chosen by the selection committee as a finalist in the 2015-2016 awards competition. Kids across Florida have the opportunity to read and vote for their favorite picture book in the annual competition. The awards are sponsored by the Florida Reading Association an affiliate of the International Literacy Association, and the organization introduced this award to "encourage young children to become enthusiastic about books." During the 2015-2016 school year Florida students will have eight books to read and choose a winner including Sea Slime. The votes have been counted, the celebration is over and Kali's Story by Jennifer Keats Curtis with photography by John Gomes came out on top this year in the 3rd and 4th grade category for the Children's Choices Book Awards sponsored by the Children's Book Council and Every Child a Reader. We thank everyone who voted for Kali's Story and are overjoyed that so many readers loved the story of an orphaned baby polar bear finding his way in a new home and a new friend in the zoo. To read more about the Children's Choice Awards click here! Our 6 Fall 2016 titles have arrived!!! In a two-year collaborative project, over 100 schools across the nation have been granted a subscription to the Arbordale Fun eReader® digital books and the additional educational resources provided by the publisher for use in classrooms and homes for the duration of the project. "Knowing that funding is limited in many schools across the country, selecting the participants was very difficult," said Heather Williams, public relations coordinator. Find out more about Arbordale's eBook grant and see the recipient schools here. Voting opened in the annual Children's Choice Awards sponsored by the Children's Book Council on March 17th and Kali's Story: A Polar Bear Rescue made the grade, third and fourth to be exact. Now the fate of the winner in the hands of readers across the country and Arbordale Publishing is encouraging children to read and vote. In celebration of the awards Arbordale is offering the eBook version of Kali's Story for only 99 cents during the voting period and Children's Book Week. Encouraging a love for reading is central to the publisher's mission and as the only nonfiction entry in the category the Children's Choice Book Awards is a great venue to introduce the genre to young readers. Applications open today for a digital picture book grant sponsored by Arbordale Publishing. Three schools in each state across the U.S. will be awarded the publisher's Fun eReader® book collection for classroom and home use over two academic years. Click here to see more detailed information about the grant. 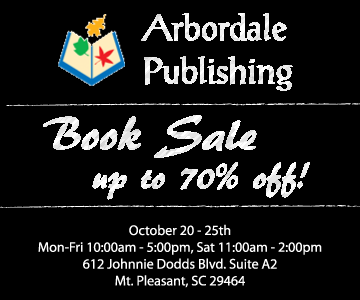 On October 20th Arbordale Publishing located in Mt. Pleasant will invite local residents into their offices for a big book sale. With over 100 titles in print the publisher will offer limited quantities of all their children’s picture books for a deep discount while supplies last. The publishing company began production in the fall of 2004 and released four titles in 2005 which remain some of the publisher’s bestsellers. The publisher has expanded greatly in the past ten years, won numerous awards, and celebrates new books twice a year with 18 titles planned for 2015. With so much expansion in ten years the offices of Arbordale are bursting. The public is welcome to shop our inventory sale where hardcover books priced at $5, and paperbacks $3, are 70 percent off the retail price. Our 7 Spring 2016 titles have arrived!!! Three Arbordale Publishing books, Balloon Trees, The Deductive Detective and Ferdinand Fox’s First Summer, have been chosen to go back-to-school with Missouri students this year. The annual reading list by the Missouri State Teachers Association has been released, and the comprehensive list honors Arbordale’s science and math titles. The Missouri State Teacher’s Association reviews new titles each year at all grade levels to compose the list of recommended titles. Students are encouraged to read from the selected titles and the organization celebrates reading with award certificates and other programs. Help Packy Packrat sort his belongings, Baby Bat find his courage, or Detective Duck "quack the case" with the new Fun eReader app on Google Play. Fun eReader is now available for droid devices, strengthening the e-reading platform offered by Arbordale Publishing (formerly Sylvan Dell Publishing) which currently includes online computer access and an iPad app under the same name. Arbordale Publishing is fighting the summer slide with the launch of new technology and a summer reading incentive. All of the company’s eBooks will be 99 cents through September 30th on the new Fun eReader app in Google Play, Amazon’s Kindle Fire store as well as the entire collection of book apps offered in the Apple iTunes store. A Day in the Deep goes bronze in the IndieFab awards presented at the annual American Library Association Conference by Foreword Reviews Magazine.